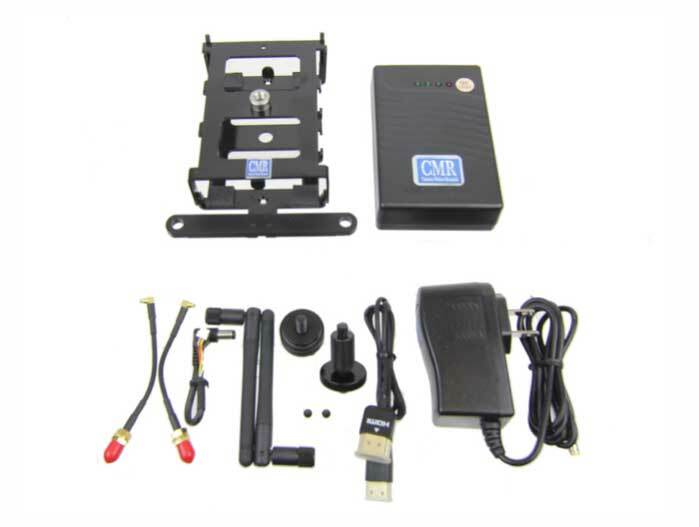 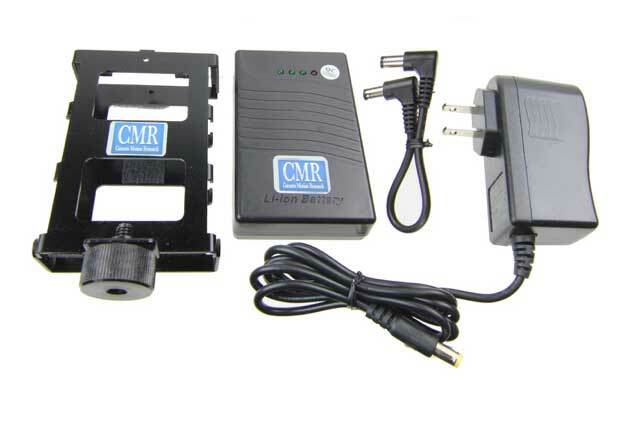 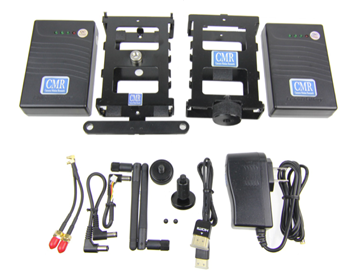 CMR ACCENT Connex Mini 1600 ft. Fusion 3300 ft. Connex Long Range 10,000 ft.
Order PN: CONN Connex set and PN: ACAX Transmitter support and PN: DT15 D-tap Power cable for transmitter. 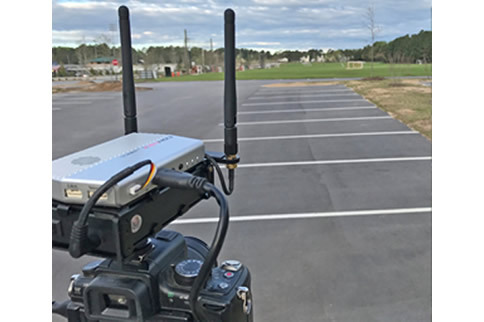 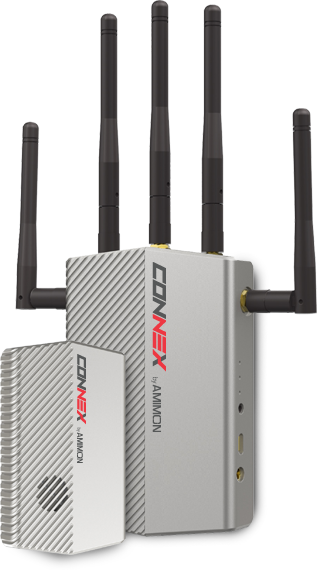 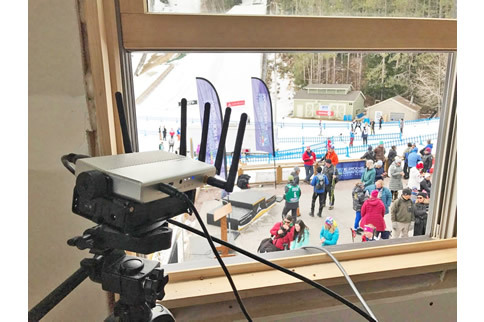 Connex wireless video sets were introduced by Amimon to meet demanding aerial wireless HD requirements, and they provide robust connections with range up to 3300 ft. LOS. 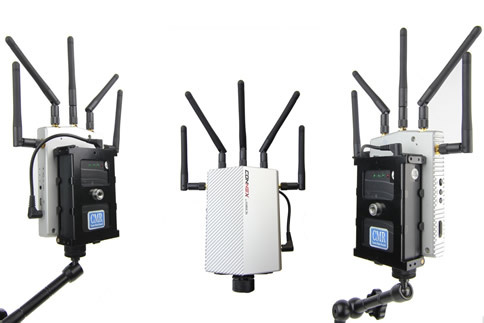 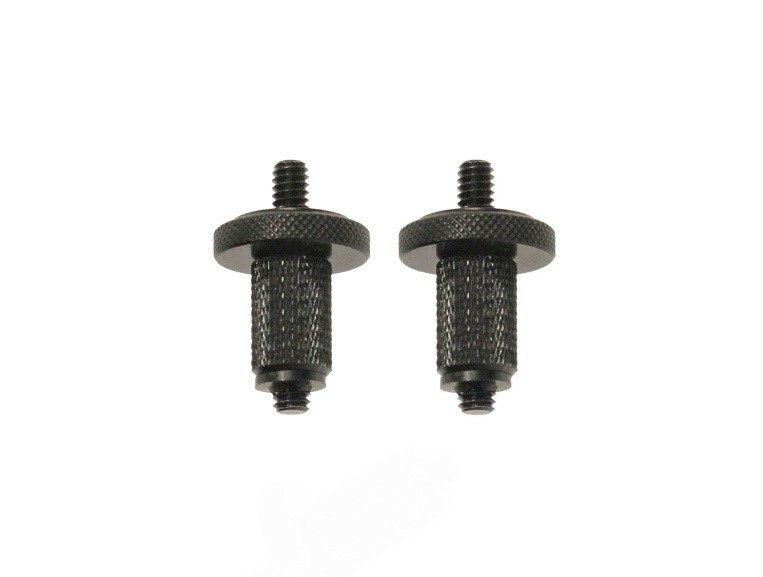 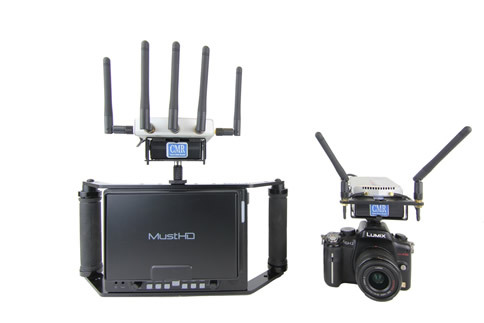 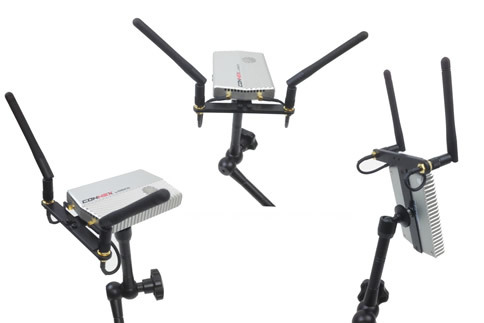 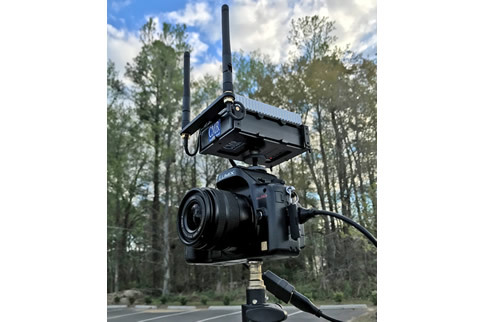 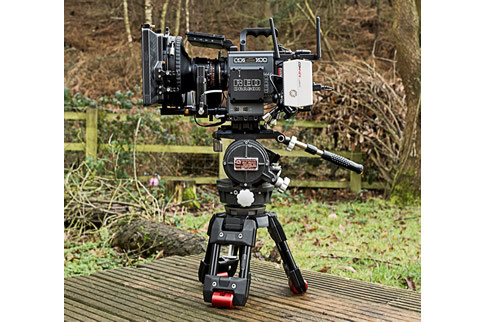 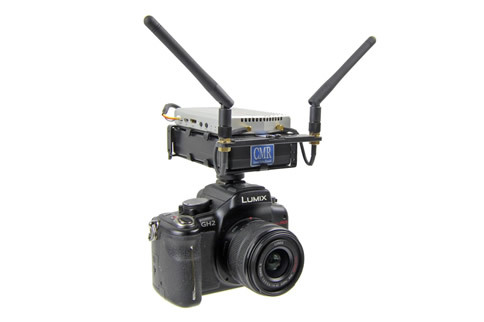 And soon after, CMR introduced accessories for Amimon Connex wireless HD sets, allowing them to be used with standard camera rigs by providing engineered antenna mounts and power options. 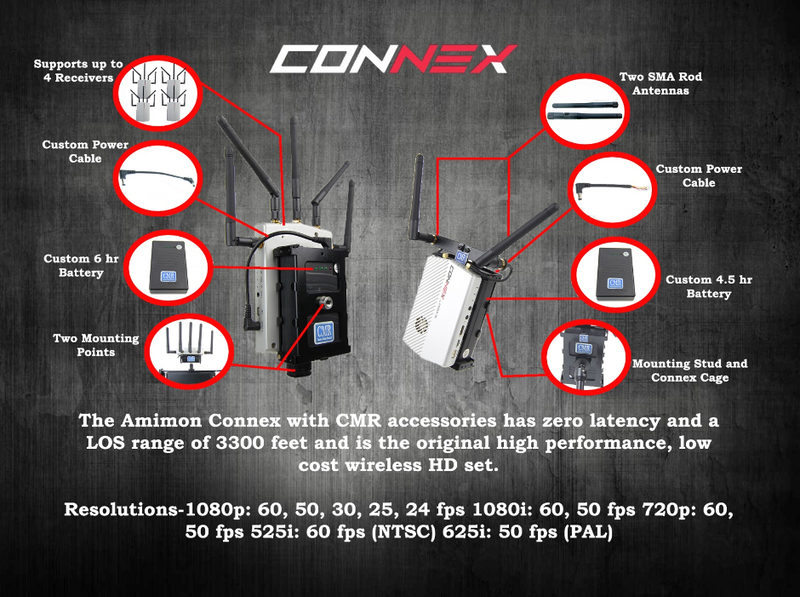 Professionals using Connex wireless sets can increase the utility and versatility of their sets with the line of CMR Connex accessories.